True to her passion and stuck to her calling, Thu Thu Myint shares her challenging yet fulfilling journey with Thye Hua Kwan Moral Charities. Ever held a job that made you cry? Well, you are not alone. 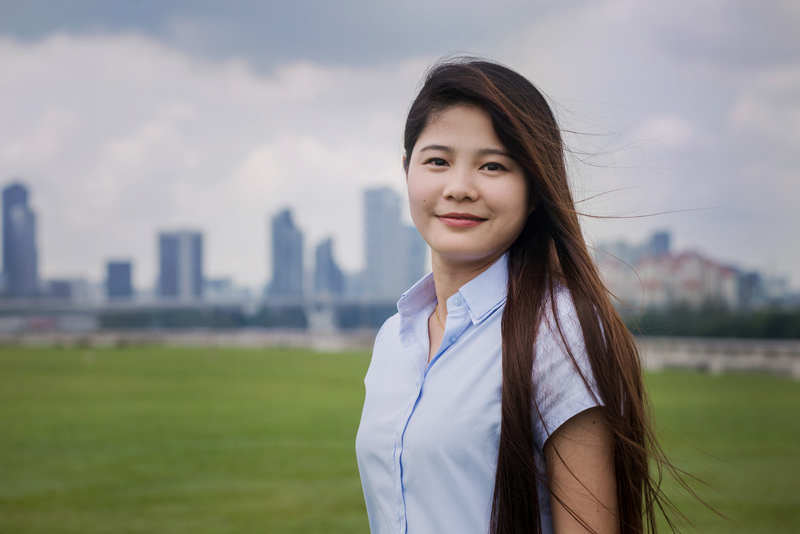 Thu Thu Win Myint felt the same too, when she started her job as a Nursing Aide at Thye Hua Kwan Moral Charities 6 years ago. At the peak of her sadness and frustrations, all she wanted to do was to go home and cry it all out. Things were not easy when she first left her hometown in Myanmar to work in Singapore. She was all alone in a foreign land. The situation at work was not what she has expected. Not only did she need to handle senior residents who were in their sixties to seventies 60s to 70s who are diagnosed with intellectual disabilities, she had to cope with their challenging behavioural issues as well. “I did not know what they want, as most of the residents were unable to verbalise. I felt scared and I found them strange”, she shared. But that did not deter her from doing her job well. With the support from her colleagues, Thu Thu soon became friends with the residents. Thu Thu loved her job as a nurse. She has many reasons for it: to be able to cross paths with the people she would not have met if she hadn’t been in the profession, to be in a job that never stops giving to others and a role where she constantly learning something new. She remembers every resident by name, their unpredictable behaviours, medical histories and even the likes and dislikes that are unique to each and every one of them. Thu Thu shares a special bond with the residents and she is able to calm them down with her beautiful smile and gentle demeanor. She draws happiness from seeing the smiles on their faces, particularly when the residents are engaged the activities that they enjoy, from sports to music lessons, arts to culinary sessions and even the cat therapy programme where the residents play along with the furry felines. With sheer will and passion, Thu Thu overcame language barriers and eventually became an Enrolled Nurse at THK Home for Disabled @ Chai Chee after rounds of examination. Her dedication and passion to serve earned her the Best Employee of the Year Award at THKMC Staff Appreciation Nite 2018. It is not by chance, but by choice that she remained steadfast to her passion, because of the peace and joy that she gets from being able to help someone, be it through words of encouragement to the warmth of a touch – these are the little things that make a big difference to someone in need.